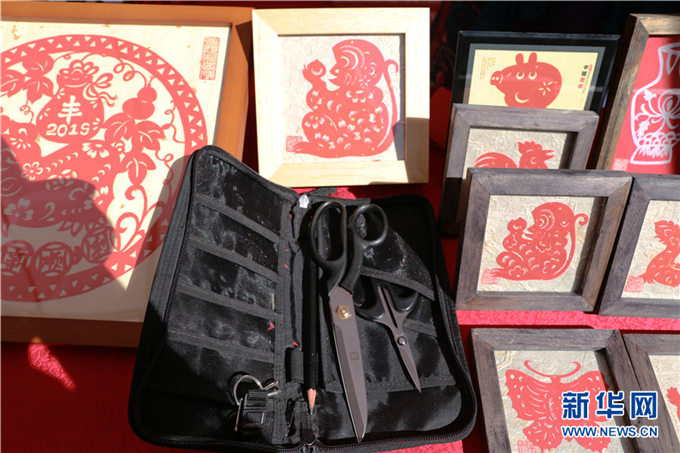 For Duan Yunli, a craftswoman who has been making paper-cuts for four decades, scissors are like paintbrushes. With talent and effort, she can cut out every pattern conceived in her mind. Grown up in a traditional paper cut family, Duan is the inheritor of the fourth generation. 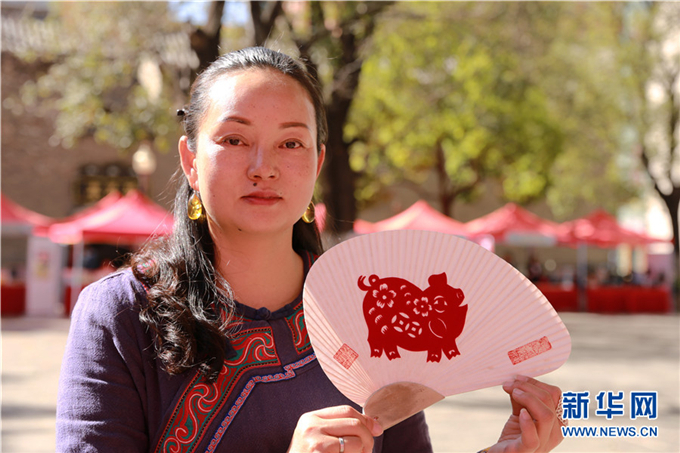 She is also one of the inheritors of intangible cultural heritage of Kunming City, capital of SW China’s Yunnan Province. Works of her grandfather and mother mainly involve shoes ornaments and Chinese zodiacs, but Duan takes everything she sees into consideration. Thus her works cover a wider range. And her unique style generates a boom in her business. 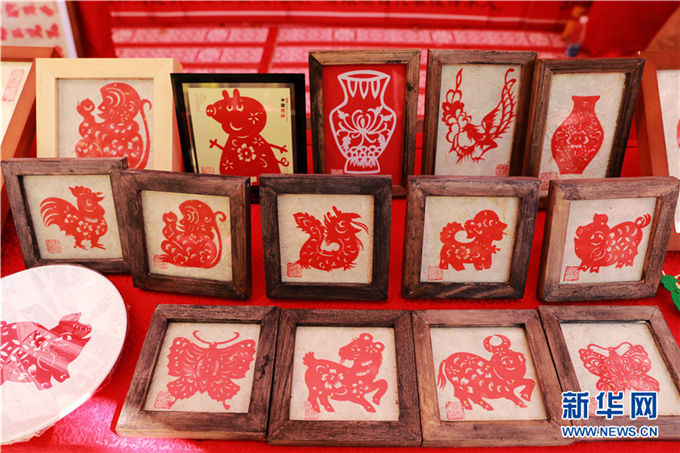 She said that the twelve zodiacs are the most popular among customers. 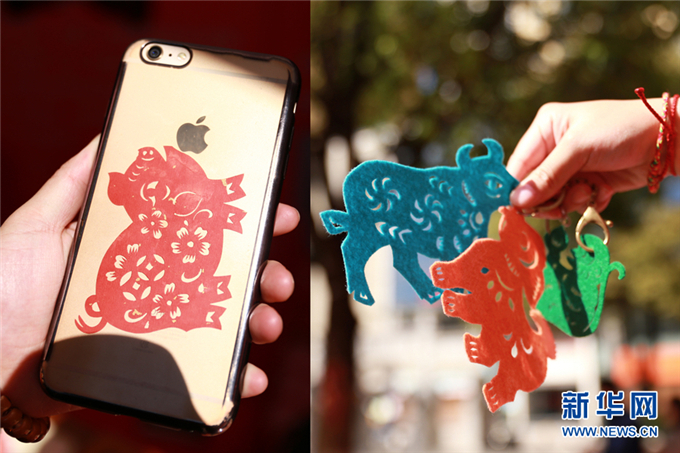 They use the paper-cuts to decorate their phones, and as key ring ornaments. Different requirements lead to various styles. The pattern of a paper cut pattern can be printed on tableware, and a paper cut picture can be framed and hung on the wall. It can be used almost everywhere. 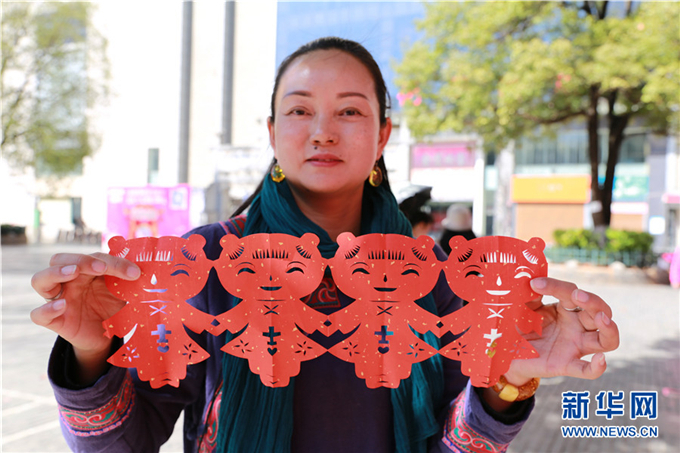 As time goes by, more and more people become interested in paper cutting. So Duan is frequently invited to schools to teach the history and skills of the craftsmanship. The greatest pride for her is that one of her apprentices is now teaching the traditional skill at a school, just as she expected. “Paper cut, is a part of my life and I will keep on creating new patterns to promote and inherit the traditional craftsmanship,” she said.